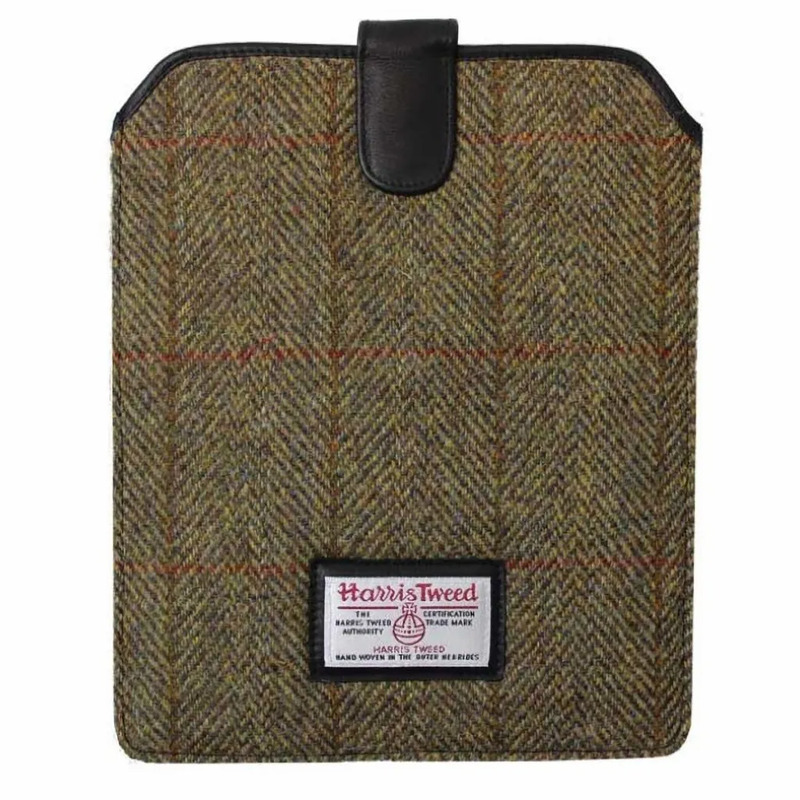 iPad case with fabric certified by the Harris Tweed Authority. Handwoven in the Outer Hebrides. Magnetic closure flap for security. Wool front with leather back. Size: 21cm x 26cm (8.5in x 10in).